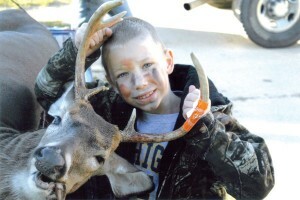 Seven-year-old Alec Johnson knew what deer he wanted. And he got it last Sunday—his first time hunting. Alec took the 7-point buck with a .243 rifle. “He was so excited and still is!” remarked Jessica.